There are very few horror authors writing today who possess the blessed gift of invoking disquiet and unease without ever showing exactly what the source of that unease is. Writers such as these have the uncanny ability to tap into basic, human fears, giving them shadowy form through artful prose, sleight of hand, and misdirection. 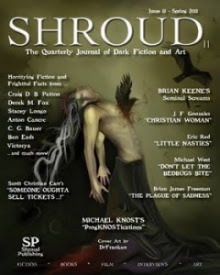 Thankfully, one such writer is still going strong, producing new work, as well as seeing his out of print work breathing new life through Samhain Publishing's new Horror Line. "Down There", in which a secretary learns in horrific fashion that something soft and moist and creeping lives in the sub-basement of her office's temporary location. "The Proxy", in which a ghost of a different kind - not even the ghost of a person at all - haunts a woman's house, eventually claiming her husband. "The Depths", in which a writer's sudden, graphic insight into horrors too grotesque to mention proves more than just grisly inspiration for slasher fiction...but premonitions of actual events. "Out of Copyright", an always timely piece about an unscrupulous anthology editor that pilfers the wrong story. "The Invocation", a classic 'be careful what you wish for' story, in which a college student wishes the noisy, troublesome old lady living above his apartment would shut up...for good. "The Pattern", possibly the BEST story in the collection, about the "echoes" that are left in the wake of tragedy, and their unexpected effects on all of Time. "The Show Goes On", a terrifying allegory of a store owner "walling off" memories of his youth and the now-defunct cinema next to his store. "Call First", in which a nosy library clerk gets more than he bargains for when snoops where he's not meant to. And finally, the collection's title piece, "Dark Companion", in which a man's phantasmagoric reliving of old carnival days takes a wrong turn...literally. Ramsey Campbell's work isn't for everyone. But for those looking for something finer, something of substance, with subtle horrors woven in artful tapestries of smooth, flowing prose...he could be a door into an entirely new and much needed horror fiction experience. 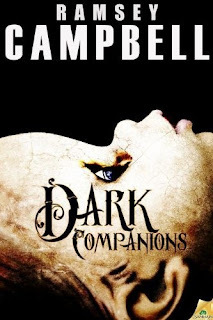 Visit Ramsey Campbell's website. Browse his titles at Samhain. 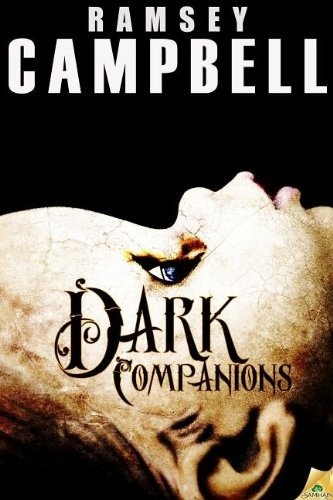 Order the ebook or paperback of Dark Companions today.